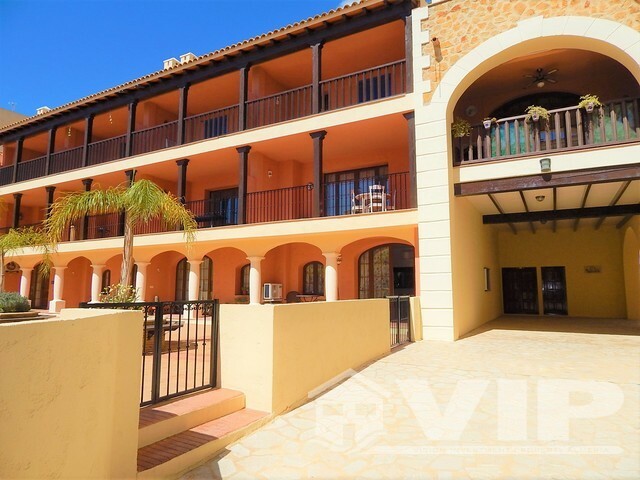 Located in a traditional Spanish fishing village, this 2 bedroom ground floor apartment combines the character and charm of its surroundings with the comfort and convenience of a modern property. 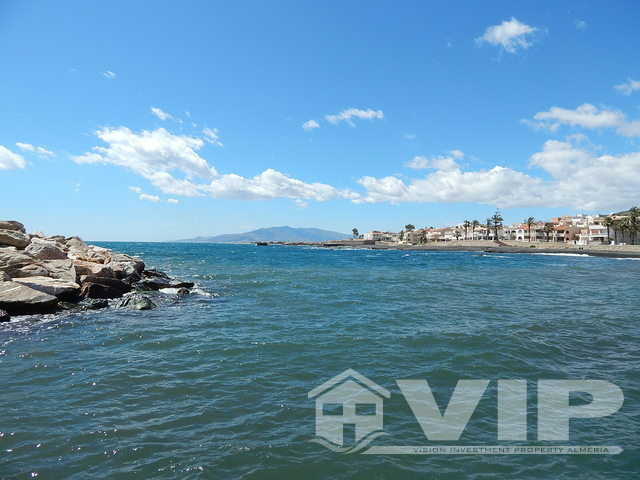 Ideal either as a forever home or a 'Lock up and Leave' , it is set within the gated frontline community of Harbour Lights, a prestigious well maintained urbanization in the heart of Villaricos. 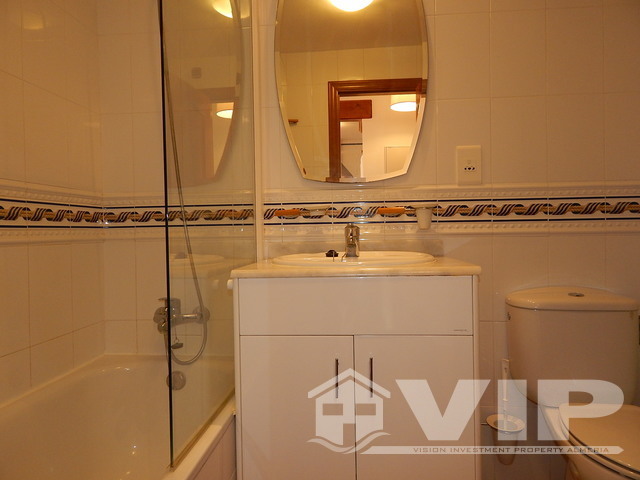 Tastefully decorated this 62.99m2 property is move in ready . As you enter the property a well sized living/dining room welcomes you, it boasts a cosy lounge, a dining area with doors out to an 12m arched terrace and a small breakfast bar. 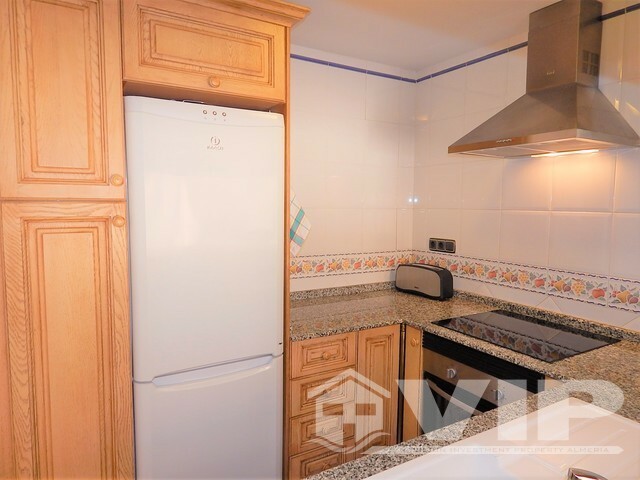 Adjoining the living area there is a modern kitchen that is fully fitted. 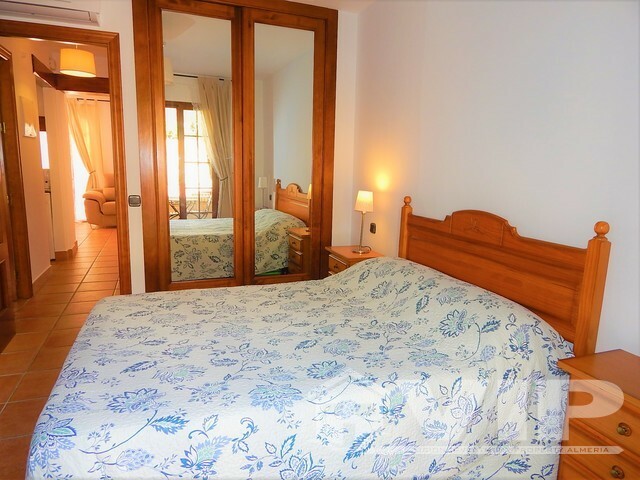 Down the hallway there are two double bedrooms with fully fitted wardrobes and a family bathroom. The lounge and master bedroom have invertor A/C units so hot / Cold air options. 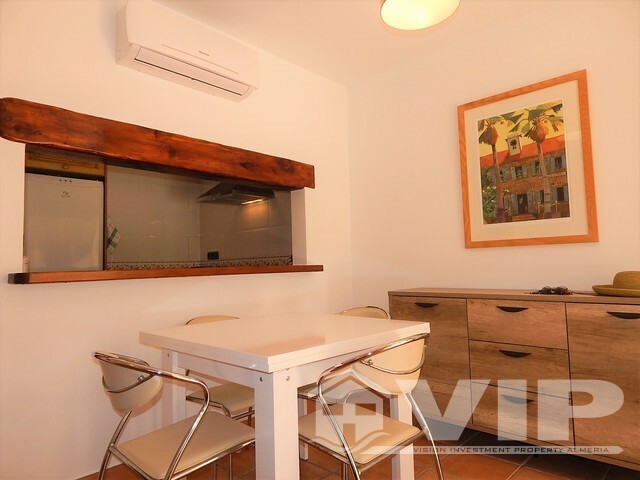 This property has level access and is located in a Andalusian style courtyard with fountain close to the community pool and has doors to the residential plaza with Jacuzzi. 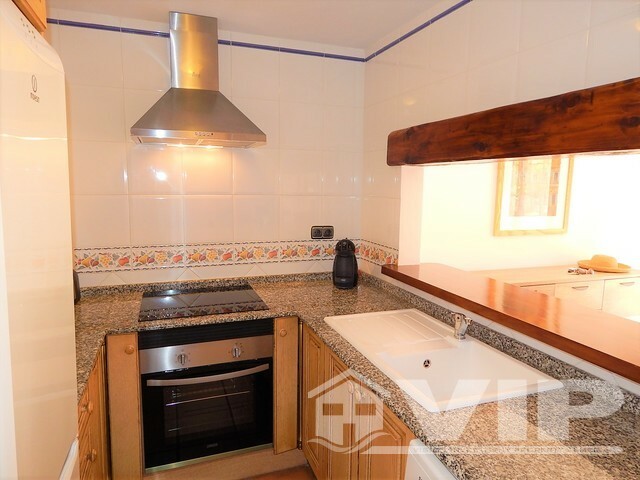 The property is two bedroomed with fitted wardrobes and sold with a fitted kitchen. 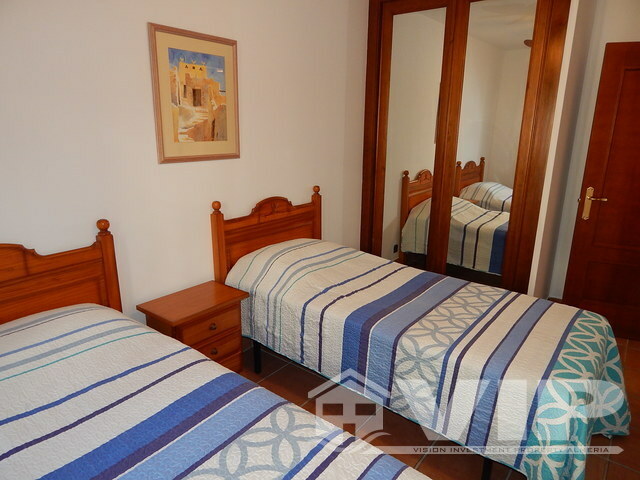 The furniture may be negotiated as part of a sale but offers in excess of the list price 120.000 Euros. 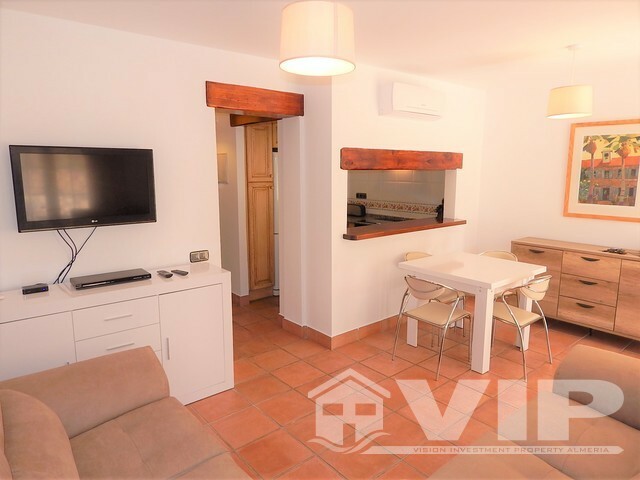 Villaricos is a small fishing and traditional village nestled between the mountains and the sea flanked by beach Almagrera castle and Almanzora river. This is a wonderful area to scuba dive and snorkel too. There is a natural sandy beach, promenade, two harbour’s and more rocky beach all available in your eyeline when at the gated entrance. 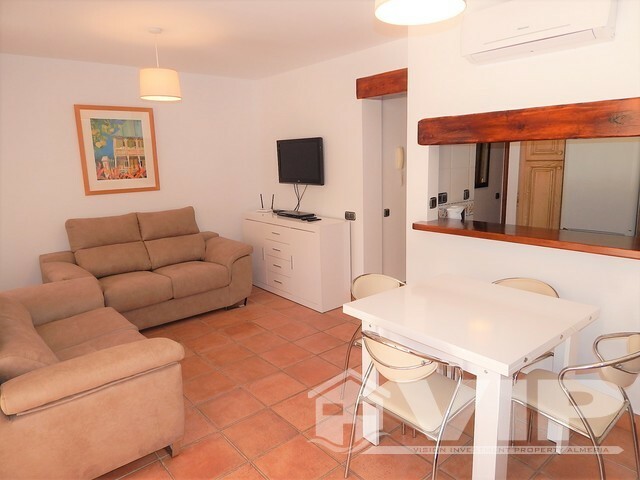 This is an area that retains the traditional simplicity of the Spanish Mediterranean life offers. Visitors have a wide range of services and activities ranging bars, quality restaurants, shops and a traditional weekly market. We are an Irish owned company and trading since 2005. We are CIF registered in Spain (Number B04833737) & inscribed in the "Registro Mercantile de Almeria", AIPP regulated and CIPS - Certified International Property Specialist, we are also a member of the National Association of REALTORS® with NRDS ID: 061237049. We offer more than just selling property. The company was formed as a combined venture between Stephen Howlett and Victoria Venturini. We have three children together (Two born in Almeria). This has provided us with experiencing many different aspects from local integration to schooling since our permanent move from Dublin, Ireland to Mojacar, Costa Almeria, Spain in 2003. We found that our life experience was just as important as our professional. Community and lifestyle are important, so as parents, we ensure to be involved in the events and sponsor / promote many sports and youth events encouraging personal development. At the VIP Almeria office communication is easy for us. We work with major national and international platforms to ensure marketing reach for our clients. Getting here is easy and we keep our website up to date with advice on how to get here from various airports. We do enjoy promoting our activity on social media such as our VIP Almeria Facebook page. Our Buyers and Sellers are informed clients. Choosing a legal is equally as important as choosing the right agent, therefore we ask that when researching property options that you apply the same attention to an independent legal abogado. The Spanish word for a Lawyer is 'Abogado' and is the equivalent to a Solicitor or a Barrister in the UK or Ireland or Attorney in the United States. We are here to present sound, straight talking advice as we are aware how daunting when purchasing overseas property, We are known as a very pro-active and progressive agency who works for the client's benefit. 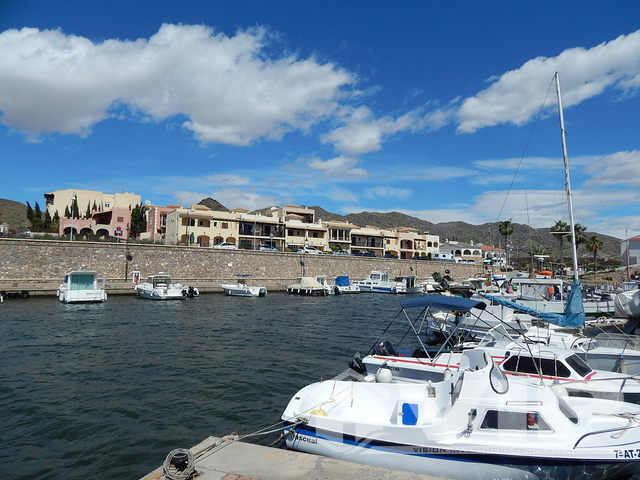 International buyers make up 23.4% of the property market and the population of Mojácar as an example has grown by 2,000 (41%) since 2000. 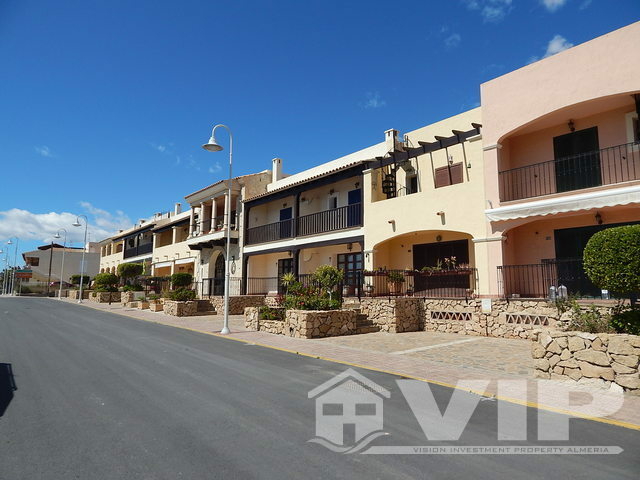 V.I.P Almeria can offer you all types of properties ranging from new build to resale opportunities. We also hold collaborations with developers and banks to offer key ready products at vastly reduced prices. We are a key company to this area for introduction due to our multiple property and area exhibitions throughout Europe. Our client portfolio varies between Northern European, International and Spanish. We want people to enjoy this fantastic unspoiled natural area and have assisted so many integrating to the region which has a strong cultural identity. VIP Almeria have been awarded many titles such as 2018’s ‘Leading Real Estate Adviser, Almeria, Spain’, No matter how big, successful or renowned a business may be, it goes without saying that, away from its own pool of talent and expertise, there will always be a network of trusted advisers behind the scenes helping to inform, guide and shape the way in which it operates. This is in addition to the awards, 2017 and in 2016 when we were given the title, Real Estate Firm of the Year, this award was set up to recognise the firms which are among the best and brightest when it comes to real estate, able to flourish in this dynamic sector. Nominated and Winner of Best Broker, Costa Almeria, Steven Howlett was named as the Almeria Area expert by A Place in the Sun. He has also been involved in over a dozen successful TV shows which continue to this day. 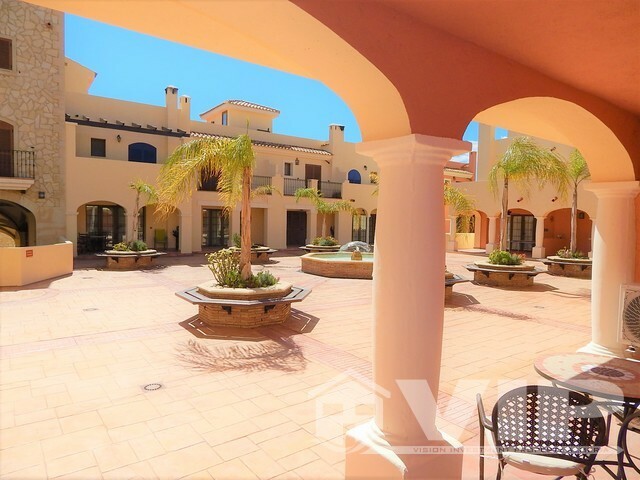 VIP Almeria have our own profile Section on "A Place in The Sun" which showcases our property listings, adding this to all major property portals including Rightmove Overseas to name a few options on where to see our listings advertised. Real estate can be very intimidating to people are not familiar with its complexities hence why as an agent, we have the tools and resources to shortlist options that match the criteria. We know this market and how to deliver the finished article. Buying new or older house – calculate the extra works! Our mentality and philosophy for selling has always been the same: DO NOT PUSH. When we are with a buyer, we always let the buyer steer the ship and make the final decision. We just provide the path to get there. As an Area expert, we have the tools and resources with the life experience to assist most questions and queries during the appointment. We feel that minute you start pushing as an agent, the buyer’s natural psychological defences will go up, and they start to think that you might just be trying to make a sale. So how can clients tell that they are working with an agent who has their best interest at heart? Look at our testimonials, these are from real people and uploaded in their own words. You can see how area focused we are to help match the criteria requested, we present options however if it is not on our portfolio, we will point you in the right direction to make an informed decision. This year we added so many new listings to our list of captivating locations. Creating unique memories all along the coastline from Mojacar to San Juan. We have created zonal area markers between Mojacar to San Juan with every beach having its own page highlighting recommendations and properties in that part of the beach. We will continue to promote Costa Almeria and assist buyers with help to have their lifestyle and criteria matched. Buyers are treated to “Behind-the-Scenes” cover points of interest like local amenities, things to do that suit your lifestyle and area matching. Life is not just the Beach!! Remember it is not just the house but the location. We are the only agent in this area that will protect your freehold purchase with a 20-year title deed insurance as a gift. We offer real support and aftercare for our valued clients. Our Sellers receive a breakdown of visits, feedback and fees payable should they consider an offer to reserve so they understand the net amounts plus comparisons of sale agreed in their neighbourhood. We also aid with all certification to be degree218 compliant. As everyone is different in their needs and criteria; If the property you want is not already on our books, VIP Almeria are specialists in sourcing property investments to suit every need via our excellent and diligent collaborators. We use only like-minded agents with the same work ethic and who are regulated. We offer you what you want, not just what we have. This service costs you nothing extra. If you wish to consider us as a lead agent (Buyer's agent) we will be delighted to present all the options the area has, including area tours as location is so important. Of all the services, we provide to home-buyers, one of the most essential is helping them seek out the best options available to them. Many people feel comfortable knowing that we put ourselves in their shoes and will offer insight of advantages or disadvantages in a particular area. It is important to have an entry and exit plan unless it is your forever home. We have developed some solid contacts in this area over the years, so before you commit yourself, please feel free to contact us and experience it for yourselves. When you decide it’s the right time for you to make a move or step forward, we would love to hear from you. 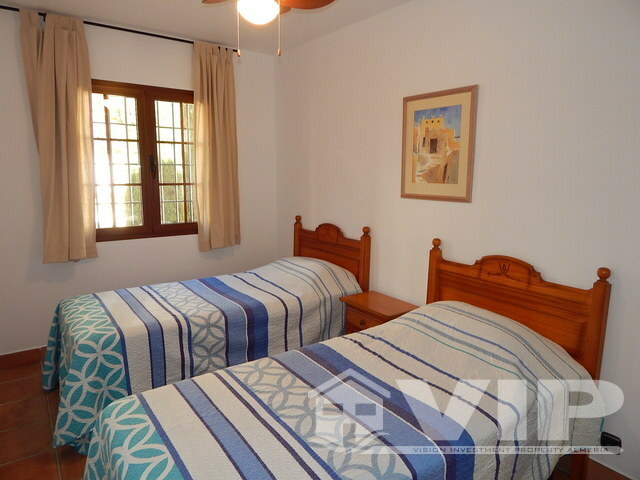 Thank you for taking the time to look up our details and considering VIP Almeria as your agent.